Reconnect with your LG classmates, mingle with your fellow LGAA members and bring a toy for our community children in need this holiday season at this Happy Hour. 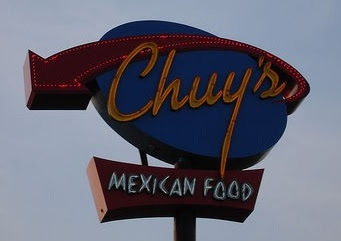 Join us Chuy's Restaurant on Tuesday, November 27 from 5:00 p.m to 7:30 p.m.
Come enjoy drinks and Chuy's infamous nacho bar located at 3410 SW Archer near Lowe's. Enjoy unique authentic Mexican food with the freshest ingredients. No need to RSVP. Just show up with an unwrapped toy that will be donated for the Junior League's Miracle on Main Street event. If you have questions, please email kwmitrook@lifesouth.org.